Freebie! 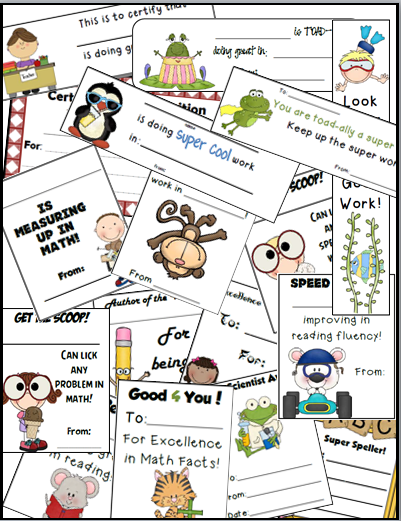 As the end of the year comes to an end, hand your students one of these cute, little certificates. 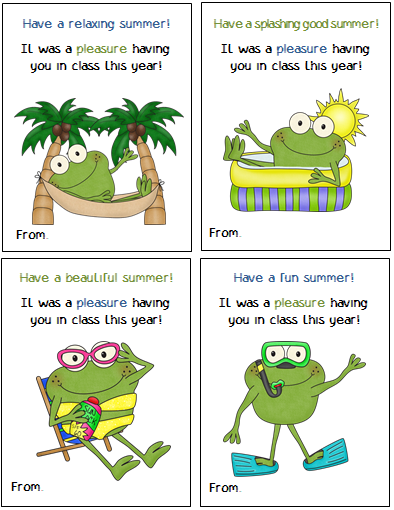 Let your students know you enjoyed having them in class and appreciate getting to know them. 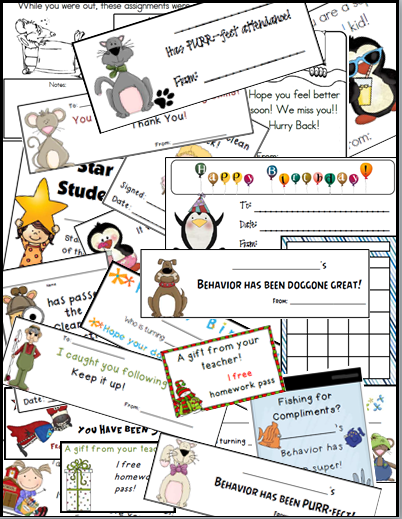 If you want to recognize students for "a job well done" this year, try this pack of goodies. 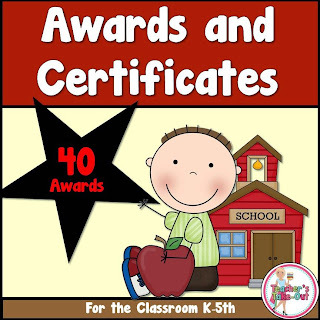 This pack has an award or certificate for any occasion. It includes: birthday notes and thank you notes. It has awards for great work in math, reading, writing, spelling, and science. This pack also has free homework passes, behavior notes, absent slips, and star student, Plus so much more. It has over 46 pages of someway to let your students know how well they are doing in school. Teacher's Take-Out for a discount. Thanks for stopping by. Have a fantastic end of the year! Here's to looking forward to summer!